A Place for Personal Development and Relationship Enhancement. In helping determine what method of communication you want to employ with us, we need to remind you if you choose to communicate with us via electronic transmission (faxes, cell phone, and/or emails), that, in this day and age of hackers, there is no 100% guarantee of confidentiality for any of us via electronic transmission. However, we’ll do our utmost to preserve your communication’s confidentiality through our security procedures. Option 2 – Click here to download and complete the Prospective Client Data Form. Then fax or mail. Please choose the relevant forms below, determined by age of the client(s), and, if you are coming in as an individual or as a couple. 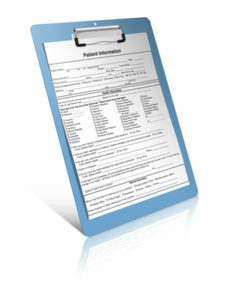 Download and complete the forms that apply to your situation. Bring them with you to your 1st appointment unsigned and our administrative staff will serve as your signature witness. There is no email return possible for these “1st appointment” forms. Also, please understand that if you do not choose to complete these forms by downloading, you’ll need to come in a half hour before your 1st appointment to finish them. Our location is on the second floor in the office building beside the Holiday Inn at the intersection of Sugarloaf Pkwy and Satellite Blvd. © 2019 BreakThru Counseling and Consulting, P.C. All Rights Reserved.